Here's an example of a YIG filter (below). YIG stands for yttrium iron garnet. Yttrium is quite often misspelled, "yittrium" would be a phonetically correct spelling. Yttrium is atomic symbol Y atomic number 39. Ytterbium is atomic symbol Yb, and atomic number 70. Don't confuse the two! YIG is actually a synthetic form of garnet. 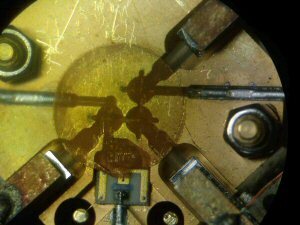 It has interesting magnetic properties which allow it to perform as a tunable microwave filter for example. 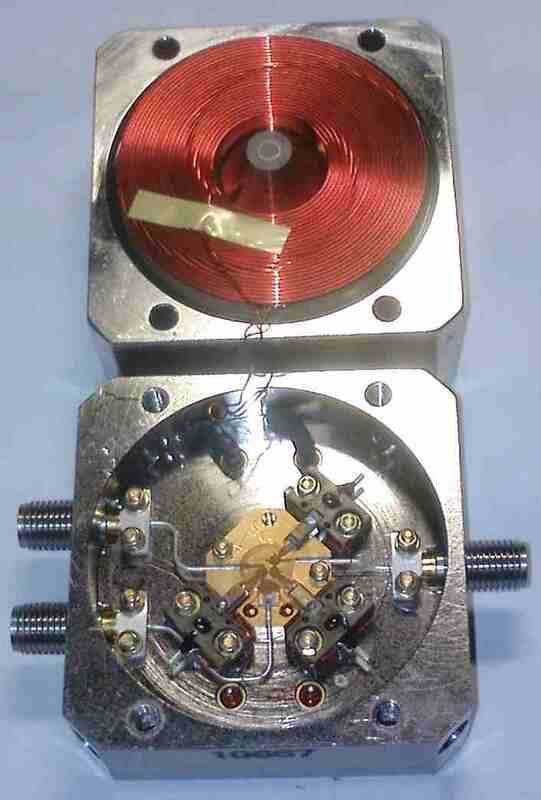 YIG is a ferrite with very high resistivity and a sharp ferrimagnetic resonance. These properties allow YIG resonator oscillators to achieve DRO-like phase noise performance and very wide tuning ranges: 2-20 GHz tunable oscillators are available. High performance, with unloaded Q's >1000, demands a resonator that is a highly polished sphere or ellipsoid made from a single crystal of YIG. Frequency tuning of the YIG resonator is accomplished by varying the currents in electromagnets that are an integral part of the YIG oscillator (or filter) module. Filters can be built that are reciprocal or non-reciprocal depending on coupling structures. There are some prices to be paid for this performance. The YIG sphere is not cheap, and needs to be oriented carefully. The magnetic fields required are large, so YIG oscillator modules need heavy pole pieces, are power hungry and tune slowly. Further, temperature control of the resonator is required, and the resonator coupling loops are generally 3D structures that further increase the cost of production. could be very helpful. Along with guidance on the care and feeding of YTO's, there are some very clear photos of the inner workings. This YIG lesson was contributed by David Gilmartin... thanks! Here's some comments on the filter by David, feel free to chime in with more information. If I recall correctly, this YIG tuned filter is from an 8563 spectrum analyser. You may notice it has three ports. This is because of the internal switch. 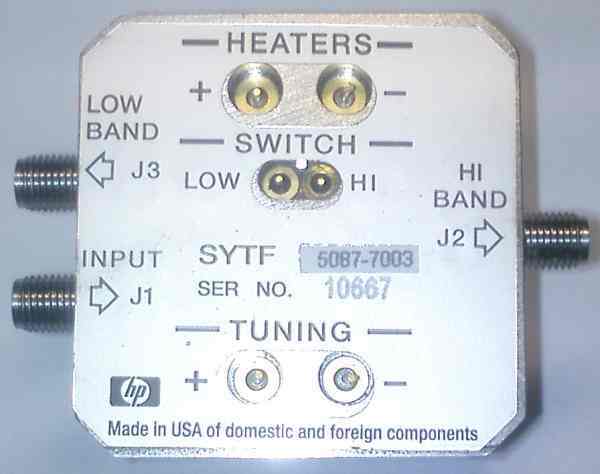 The switch is used to switch the input to the low band. Above a couple of GHz the switch is turned off and the RF goes to the high band via the coupling loops and YIG spheres. 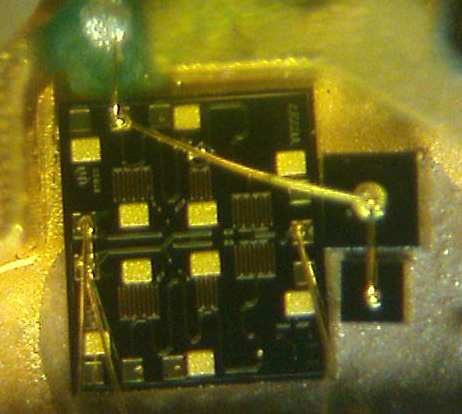 Below the switch is a small substrate which has connections for the switch bias and coax for the low band output. Having the switch integrated into the YTF allows full span sweeps, which earlier analysers couldn't do since they used mechanical switches, e.g. 8566. Here's two views of the filter, with and without the gold mesh removed. Gold mesh serves to provide an RF ground plane above the YIG spheres, kind of like a diaper for stray RF radiation. There's a bad mental image, a mesh diaper... the two images can be viewed in higher resolution if you click on them. Here's a close-up view of the SPDT switch. It is a series shunt/shunt FET design, which gives wide bandwidth and high isolation.